Our designers create intricate patterns on our impressive range of Beach towel. Our customers can avail the facility to customize our Beach towel as per their specifications. Buy Wholesale scarves in bulk quantity at discounted prices as ENGLISH CREATIONS CRAZE is a wholesaler From India, manufacturer, supplier, exporter of scarves, shawls, stoles, Pareos , Kaftans, Sarongs, bags, ponchos, Kimonos, jacquard scarves, printed scarves, fabrics. Our organization is engaged in manufacturing, exporting and supplying an alluring assortment of Ladies Beach towel in amritsar, punjab, india. This Ladies Beach towel ARE VERY SOFT AND LIGHT WEIGHT.Customers can buy Wholesale scarves in bulk quantity at discounted prices as ENGLISH CREATIONS CRAZE is a supplier From India, wholesaler, manufacturer , exporter of scarves, shawls, stoles, bags, ponchos, Pareos, Kimonos, jacquard scarves, printed scarves, Kaftans, Sarongs, and Fabrics. 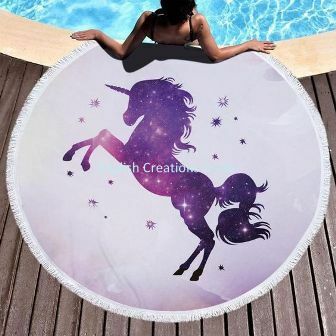 To fulfill the diverse needs of the clients, we are betrothed in providing an enchanting range of Printed Beach towel that enhances the look of the wearer. 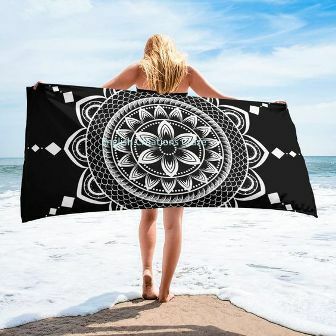 Offered Printed Beach towel are beautifully designed using excellent quality fabric.Clothing stores can buy Wholesale scarves in bulk quantity at discounted prices as ENGLISH CREATIONS CRAZE is a supplier, wholesaler, manufacturer , exporter of scarves, shawls, stoles, bags, ponchos, Pareos, Kimonos, jacquard scarves, printed scarves, Kaftans, Sarongs, and Fabrics From India. We hold expertise in manufacturing, exporting & supplying Cotton Bath towel from Punjab, India. The qualitative range of Cotton Bath towel we offer is preferred widely for their unique fiber quality and beautiful woven styles.Brands can buy Wholesale scarves in bulk quantity at discounted prices as ENGLISH CREATIONS CRAZE is a supplier, wholesaler, manufacturer , exporter of scarves, shawls, stoles, bags, ponchos, Pareos, Kimonos, jacquard scarves, printed scarves, Kaftans, Sarongs, and Fabrics From India. Beach towels come in various colours and sizes. English Creations Craze has one of the largest collections of beach towels on its web store. It is because we are the leading manufacturer of these towels in India. Our beach towels are popular in India and also in countries like the US, France, Germany, Italy, Spain, and so on. Our beach towels have eye-catching designs in a riot of colours. We exercise extreme care in selecting the designs to suit every age group. Some of our designs conform to the latest fashion trends. 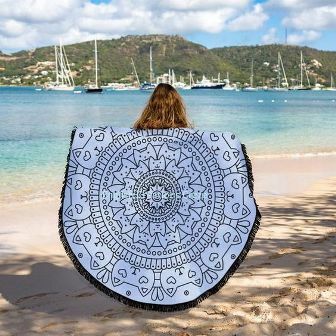 This quality of incorporating the trending designs and patterns in our beach towels makes our products the favourite of womenfolk all over the world. We have towels of all sizes to suit the requirements of the men as well. We use the best quality of raw materials to make our towels water absorbent. Secondly, the fabric is soft and comfortable whereby the user does not get an itching sensation on using our beach towels. The colours on our beach towels do not fade away even when exposed to the salty sea water. The high absorbent quotient of our beach towels ensures that a few dabs of the towel over the wet area of the body are enough to dry it. In spite of our towels being of the best quality, they are available at competitive rates. We believe in providing high-quality garments at affordable prices. We supply to the clothing retailers all over the country and abroad. Ordering your requirements in bulk enables you to get the consignments at wholesale rates. We have facilities where you can order your needs online. We undertake to ship them in the shortest possible time. Towels are something that you use on a daily basis. Customising your towels can give you the edge over your peers and ensure that more people buy and use them. We offer exclusive customisation facilities whereby you can ask for a specific design while ordering your consignment. Our designers makes sure that you get the towels designed and coloured according to your specifications. We welcome you to use your creativity to enhance your sales. Come, visit our web store and look at our extensive range of beach towels.